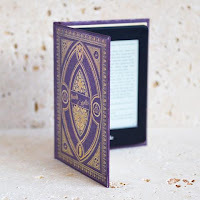 This is the first book by G.J. Minett that I have read and I have to say that I thoroughly enjoyed it - I'll certainly be looking out for more from this author. It's a very strong thriller that feels like a game of chess with all the pieces on the board, just waiting for someone to make the first move. At times I didn't know what the devil was going on and why this or that person was in the story but it all comes together in a magnificent a-ha moment at the end. Owen Hall hasn't had a great life; he doesn't really know how to relate to people. He suffered a terrible event as a youngster and you wonder how much this affected his ability to deal with people. At school he was bullied by Callum Green and only Abi ever showed him any kind of friendship. Now Abi is married to Callum and Owen crosses paths with them once again. The story starts with Owen stopping at a petrol station so his female passenger can go to the loo. When she doesn't come back, Owen can't understand what has happened and the petrol station attendant calls the police. Now that the police have Owen in their sights they realise that he fits the bill perfectly as a suspect in a recent murder. In a game of cat and mouse, all of the traps are set to catch the murderer and it's an absolutely brilliant game that is played in Lie In Wait. I was so sure that I knew what had happened but I had completely walked past all of the clues, such is the clever style of G.J. Minett's writing. Looking back now, I should have been asking questions, but my attention was always drawn on to something else. Well played, sir! 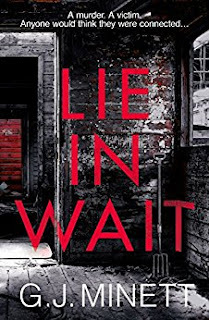 I loved the unravelling and gradual reveal of Owen's history and perhaps only now, a few days after I have read it, do I realise how very good Lie in Wait actually is.